In Australia we have some beautiful gum trees also known as eucalyptus trees. Their bark is quite varied, some have rough textures and others are quite smooth. Often it peals leaving a pale smooth surface behind. The bark itself can be fascinating to paint. Watercolor (watercolour) is a wonderful medium for painting these trees. 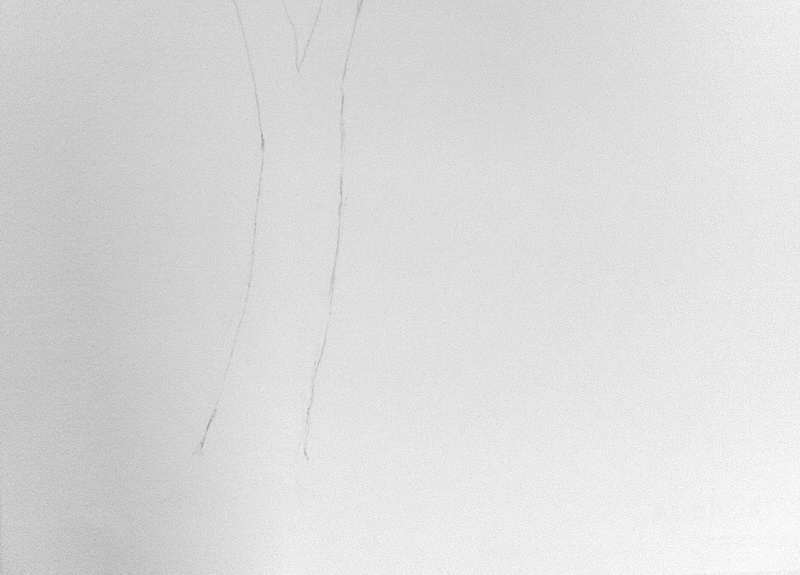 The painting I am doing here is of a tree with a pale trunk with varied colorations. Arches 300gsm Rough Watercolor Paper. Quarter sheet (37cm x 27 cm) for this demonstration. Round Brushes: Sizes 12 and 10 for the smaller areas and detail. Brushes should have a good point. 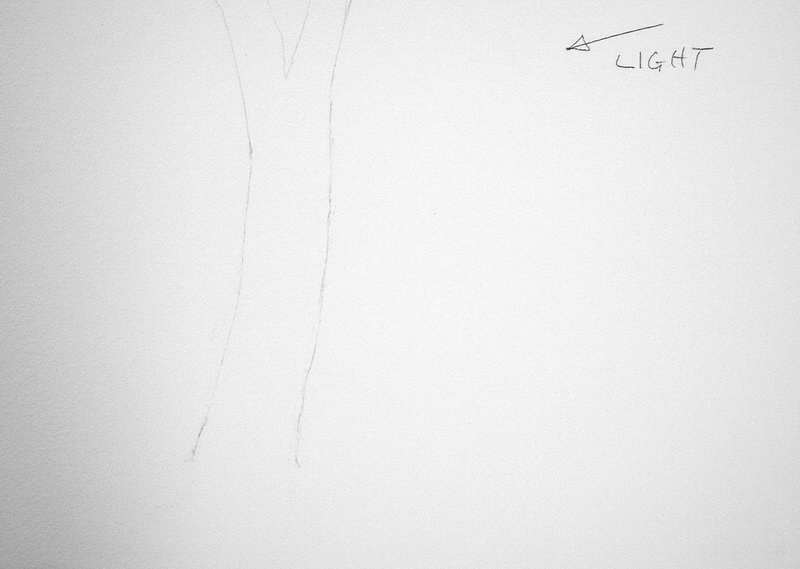 Start with a loose drawing of the tree trunk and a couple of branches. For interest sake give the trunk a little lean. If you are just painting one tree make sure it leans into the painting. Don’t make large branches that fork off of the trunk too thick or gum trees, and most other trees, will not look right. Keep in mind the direction of the sunlight as this will have an important bearing on where you place certain colors.